If there’s anything that deserves its very own category of discouragement, it’s disobedient kids. Nothing brings out my frustration, doubts about my parenting, exhaustion, and random fears about their future like disobedience. When the two-year-old crumples up on the ground in a fit of anger, my heart crumples up with him. “Not again,” I moan to myself as dinner and dishes once again get put on hold so I can address yet another act of rebellion. But I stepped back today to think about it in a new way: I’m glad that my sons are disobeying here and now, with me as their loving mom, while I still have a chance to influence them. The world is a cruel teacher. Satan is already hunting for their weaknesses so he can trip them up and wreak havoc on their faith and their lives. I have a chance now, in this tiny window of time, to strengthen their armor – to find the holes in their breast plates and sharpen their swords; to tweak their rusty helmets and tighten their belts. But I can’t do that if they never show me where they are weak. 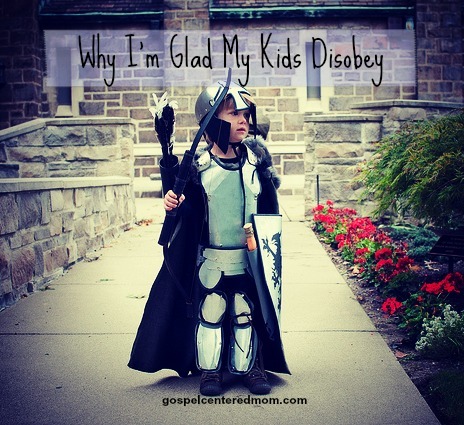 When my kids disobey they’re really saying, “Mom, I’m having trouble with self-control. Can you please help me?” Or, “Mom, I don’t understand why telling the truth is important. I need you.” I don’t want my sons to learn the hard way. I don’t want them to disobey when it will cost them so much more than my loving discipline. So lately when they disobey instead of getting frustrated I think, “Thank you for showing me your heart. 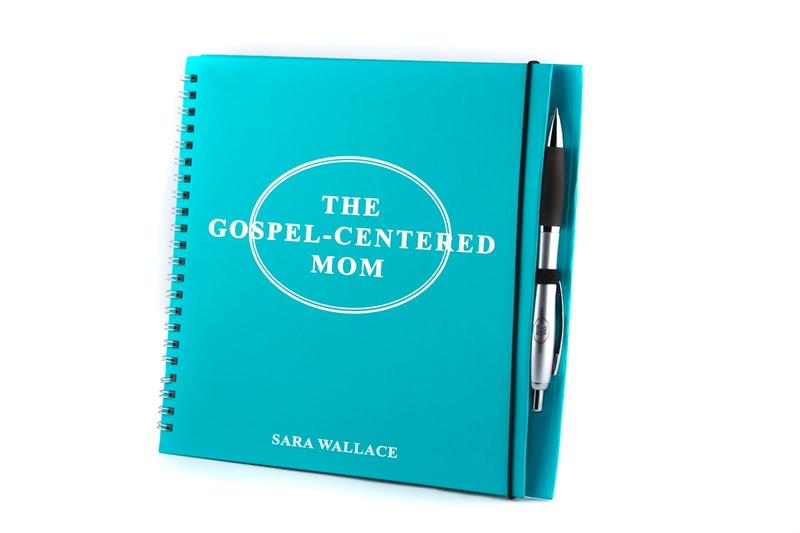 Now I can help you.” Don’t get discouraged, moms. Thank God for the opportunity to shape their little hearts while they’re still in your care.